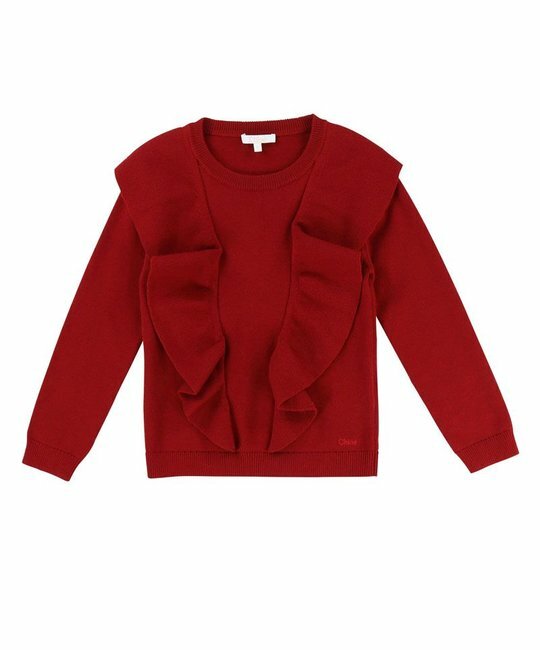 Chloé red knitted sweater with large milano ruffles and brand embroidery. 92% Cotton, 8% cashmere. Imported.